NRA-Linked Alleged Russia Spy Seeks Plea Agreement - Joe.My.God. 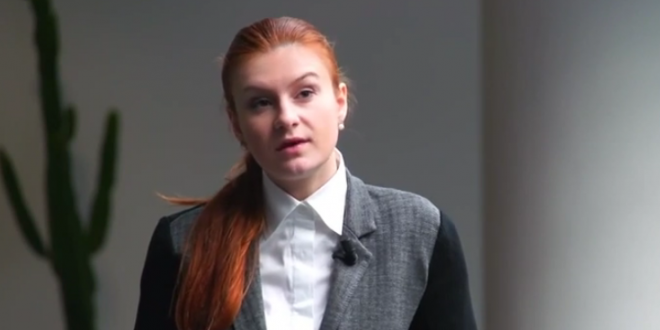 Lawyers for alleged Russian spy Maria Butina have entered into negotiations with federal prosecutors, according to a document filed in federal court Friday. The two sides requested to postpone the next hearing in the case because they are currently “in negotiations regarding a potential resolution of this matter,” indicating that they are working towards a plea agreement. Butina is accused of acting as an agent of Russia in the D.C. area and faces charges of conspiracy and failing to register as a foreign agent. She was arrested and charged in July for allegedly conspiring with her ex-boss to infiltrate politically powerful U.S. organizations, including the NRA, and push Moscow’s agenda.